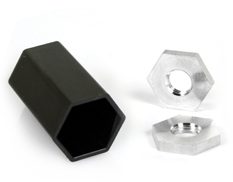 The use of the Locking Nut to tighten against the Set & Go on the valve stem helps prevent theft. Safety – Improper tire pressure has a detrimental effect on handling, braking and control. Longer Tire Life – According to the D.O.T., 95% of all premature tire wear is caused by underinflation. 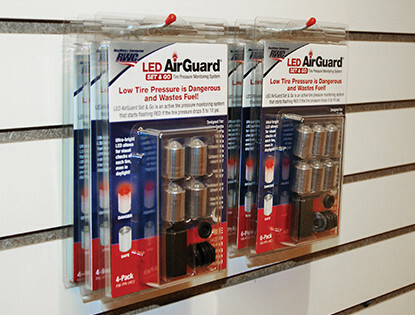 Self-calibrating – LED AirGuard Set & Go memorizes pressure when initially installed and can be easily recalibrated by simply removing and reinstalling. Improved Fuel Economy – Proper tire inflation can save an estimated 3% to 5% in fuel costs. 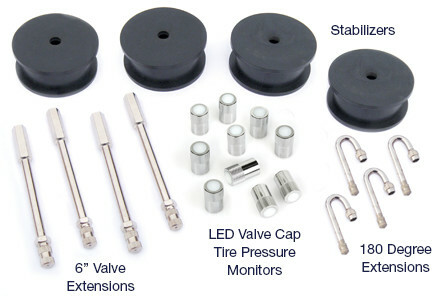 The Set & Go can be used on any commercial vehicle with tire pressure between 20psi and 180psi. 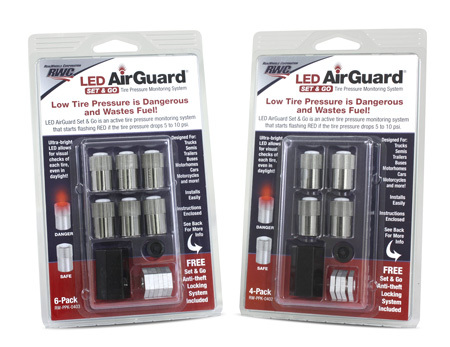 Battery standby time is warranted for 2 years from the date stamped on the LED AirGuard. Batteries are non-replaceable. Ultra-bright LED allows for visual checks of each tire, even in daylight! 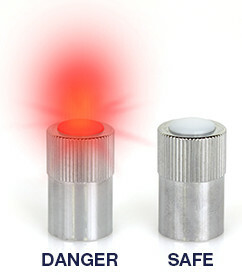 Helps to keep Trucks & Fleets CSA compliant. Designed to fit Trucks, Semis, Trailers, Buses, Motorhomes and other Commercial Vehicles! 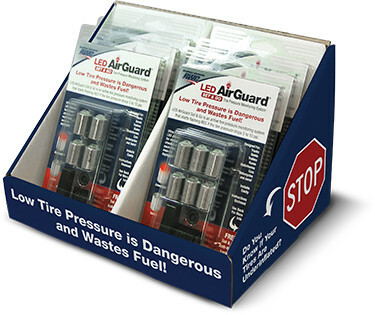 Includes: AirGuard™ Valve Caps, Inner and Outer Air Valve Extensions, plus Air Valve Extension Stabilizers. Call 1-800-982-1180 for more information and pricing.